In today's complex world, we could all use a little help. I would love to be chosen as your trusted advisor. Please let me know how I can be of assistance. Cathy Jackson is the president of Beacon Financial Group, LLC. (established September, 2006) and an Investment Adviser Representative with NEXT Financial Group, Inc. She has worked in the financial industry for 24+ years starting in the pension industry and transitioning to the investment arena. 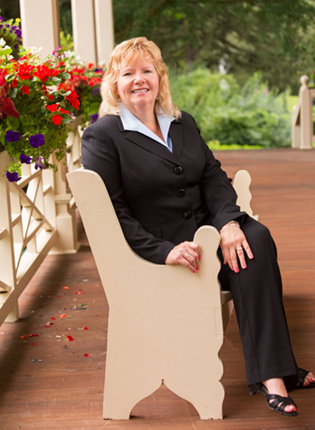 She handles all aspects of each client’s written financial plan that include goal setting, saving for college, retirement planning, insurance needs, estate planning and charitable giving. She is a member of the Financial Services Institute. Beacon Financial Group offers income tax preparation as well. Investment Advisers Representatives have a fiduciary responsibility to act in their client’s best interests. They put their client’s needs above their own, act in good faith and fully disclose all material facts. Most have fewer inherent conflicts of interest and generally provide more comprehensive advice. As a Certified Kingdom Advisor®, Cathy has additional training which enables her to incorporate a Biblical perspective on financial decisions. Realizing the need to educate people in financial literacy, Cathy is the founder of Beacon of Knowledge Ministry, whose mission is to educate families in the principles of prosperity that will guide their personal contributions to the world, and come to know Christ more intimately. She has developed and started presenting educational seminars. The seminars are structured to focus on education and assisting families in the areas of finance and goal setting. Cathy’s core values are Christian based and include recognition of God’s ownership of all things, the need to pray about everything and the desire to equip and serve others with excellence while teaching in ways understood by all cultures and generations. Cathy’s primary job as a wife and mother to three boys keeps her busy! She resides in East Fallowfield, PA with her husband, Paul and sons, Nicholas, Kyle and Ryan. She enjoys playing golf, gardening and cooking for her family. Cathy is a professional member of Kingdom Advisors. She is an active member of her church, Thorndale United Methodist. Cathy is board chair of her nonprofit, Beacon of Knowledge Ministry and a member of the Western Chester County Chamber of Commerce.